Researcher Richard Walker studies patients who seemingly don't age. A cure for aging? Not quite yet. 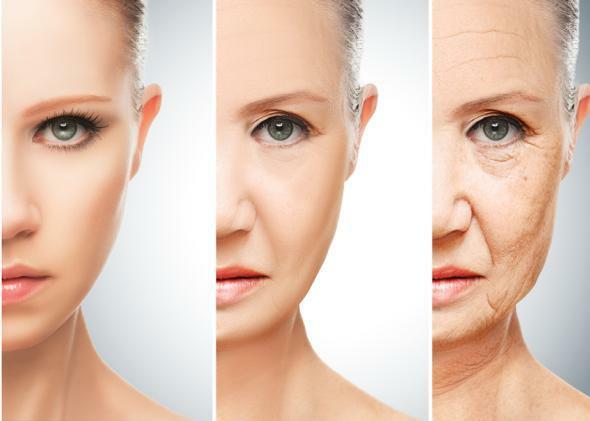 There are at least six people in the United States and Canada who appear not to age—and the key to unlocking the genetic fountain of youth may lie deep in their DNA. Richard Walker, editor in chief of the journal Clinical Interventions in Aging, launched an unprecedented new study this spring to examine the subjects, whom he was able to locate with the help of media coverage of his work. One subject is a 25-year-old girl who appears to be only 7—she has baby teeth and has never menstruated or developed. Another is a 13-year-old girl who still looks like a baby. The cause of the bizarre condition remains a mystery, but perhaps not for much longer: As of early September, all six patients—in addition to 27 of their family members and unrelated controls—have undergone whole-genome sequencing. Through complex statistical analysis, researchers are now trying to pinpoint whether the Six all share some unique mutation that could lead to insights into a genetic basis for aging and development. In addition, researcher Steve Horvath at UCLA is using a process called DNA methylation—an epigenetic regulator of gene expression—to determine whether the Six’s biological age matches their chronological age. Walker says the dream end result is to “divine the cause of delayed aging.” Then a drug could be developed to target the specific biological pathways that regulate aging. Such a medication might be delivered through a viral vector or a vaccine so it would affect all the cells in your body. It’s difficult to overstate how much that would revolutionize our approach to medical treatment. But the science—and let’s be clear, doing this would be very, very difficult—isn’t the only hurdle to making this vision a reality. Our regulatory bureaucracy in the United States will make it damn near impossible for such a drug to reach the market—even if it could prevent the death of millions. In my new thriller No Time to Die (Kensington), a young woman has mysteriously stopped aging and finds herself at the center of a dangerous battle for her DNA. The story was inspired by the real-life case of Brooke Greenberg, a Maryland girl who lived for 20 years as a perennial toddler. I decided to freeze my college-age protagonist Zoe Kincaid at an age that would maximize her frustration—writers have to be tough on our characters, after all—so she is stuck for good at 14 years old. While most people might find the prospect of eternal youth a dream come true, for Zoe, it’s a nightmare. All she wants is to grow up. At the same time, her beloved elderly grandfather is growing older and weaker by the day. When Zoe learns that her DNA may hold the key to finding the genes responsible for aging—genes that could be turned on or off at will—she publicly offers her body to science in the hopes that a cure for aging will be discovered in time to save her grandfather. Before long, a shadowy group of researchers steal her away to a private facility where they can work on unraveling the cause of her delayed aging without bureaucrats impeding their progress. At age 74, Walker can relate to the fictional scientists’ frustration with our cumbersome system and their desire to innovate as quickly as possible. For 50 years, he has pondered the question of why we are mortal, and now, finally, he believes the answer is close at hand. He knows he won’t live long enough to see an intervention to slow down his own aging, but if his work helps to further the cause, that will be enough. Any day now, his team plans to have preliminary data.